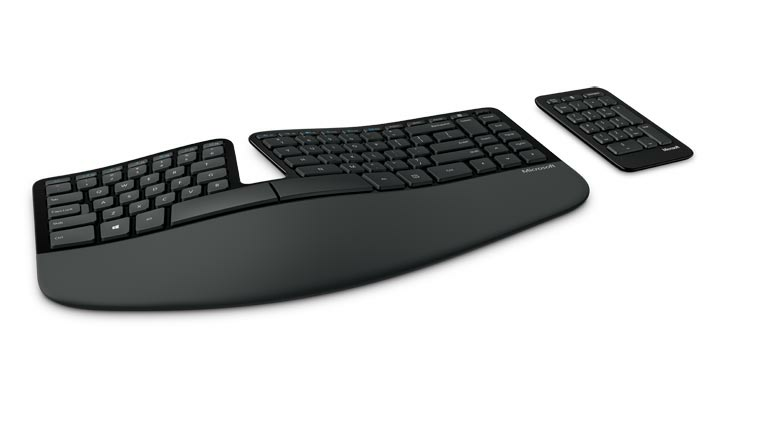 The Microsoft Sculpt Ergonomic Keyboard (model 5KV-00001) is both comfortable and customizable. The contoured design promotes a natural, relaxed wrist posture, while also putting keys within easy reach. The keyboard also includes cushioned palm rest that helps support and straighten the wrist. However, the palm rest can easily be removed when you're tight on space, or simply want a sleeker, more compact look.